Port Harcourt, one of the megacities in Nigeria, is the capital of Rivers State located in the Southern part of Nigeria known as the Niger Delta region. At the mention of Port Harcourt, what comes to mind is Oil Money because the first crude oil pipeline was laid from Oloibiri where oil was first discovered to Port Harcourt responsible for the economic evolution the city of Port Harcourt has been witnessing. Port Harcourt also boasts of an International Airport. The city of Port Harcourt is not as densely populated as Lagos as the population of the city is not up to 2 million. Most of the calibre of people that make up the population are expatriates and mostly oil company workers. Other business ventures also thrive well in Port Harcourt because it is a Central Business District and also has an urban agglomeration. Popular areas in Port Harcourt are; Port Harcourt Township (or just "Town"), GRA (Government Reserved Area) Phases 1-5, Rumuomasi, D-line, Elelenwo, Ogbunabali, Rumuola, Diobu, Amadi Flats, Umuchitta, and Borokiri. Houses for rent in Port Harcourt comes pricey as the standard of living in this city is pretty high. Withal, you might still get some houses to let in Port Harcourt within your budget. Houses in Port Harcourt has most modern architectural designs adopted for the residential properties. The apartments for rent in Port Harcourt include; bungalow, duplex, detached house, semi-detached house, flats and mini flat among others giving you an ample selection of houses for rent in Port Harcourt. 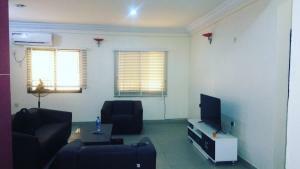 Duplex apartment for rent in Port Harcourt is the most expensive of them all with rental cost as high as N55,000,000 per year while other apartments such as the mini flat and self-contain for rent in Port Harcourt comes on a low budget as the rental cost is about N120,000 to N500,000 per year. 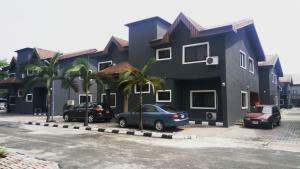 Flats for rent in Port Harcourt is between the price range of N300,000 to N2,500,000 per year. However, there are also available land for rent in Port Harcourt with a rental cost of N4,000,000. Commercial properties for rent in Port Harcourt include; office space and tank farm which comes within the price range of N1,200,000 to N4,000,000 per year.